Pros: Features lovable performers playing likeable characters in a beautiful relationship. Cons: The show gets off to a slow start and is hard to follow at times. There were also a few problems with sound. 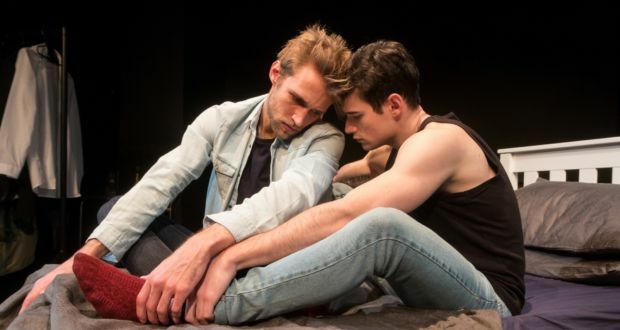 Having neither read the book (based on a memoir by Timothy Conigrave) or heard of the play (adapted by Tommy Murphy), I was surprised to see how many audience members at the Jack Studio Theatre were so invested in Holding The Man’s main characters of Tim and John. This left me intrigued to understand what everyone had been talking about before the show – luckily, the relationship I saw unfold on the stage answered every question I had. The production begins in 1976 Australia and details the beautiful and tragic love story of two teenage boys discovering themselves, their relationship and the world they are about to face. After their first kiss in school, we see their relationship take twists and turns, from fighting against discrimination to dealing with separation. The theatre’s classic black box stage provided the perfect performance space. The actors’ use of various extravagant costumes to indicate a change of character and the change of certain pieces of set to indicate a change of scene worked well to support the fantastic writing. There was also wonderful use of lighting, sound and visual projection. At times it was difficult to understand what time period certain scenes were set in due to the play’s unconventional writing style. However, it never took long for the audience to pick the storyline back up and the level of detail that had clearly gone into the beautiful script helped to counteract this. Credit where credit is due to every performer in this production. Having such a difficult and heartbreaking topic to portray, the performers coped well with capturing the hilarious moments in the show and also knew when the writing needed empathy and delicacy. Christopher Hunter (Tim) and Paul-Emile Forman (John) were superb in showing the pair’s ever-growing relationship and the challenges they faced. Marla-Jane Lynch, Dickon Farmer, Emma Zadow and Sam Goodchild were also fantastic in their respective roles and in dealing with the impact each character had on John and Tim’s lives. The story of John and Tim, bravely taken on by Big Boots Theatre Company, is to be admired. 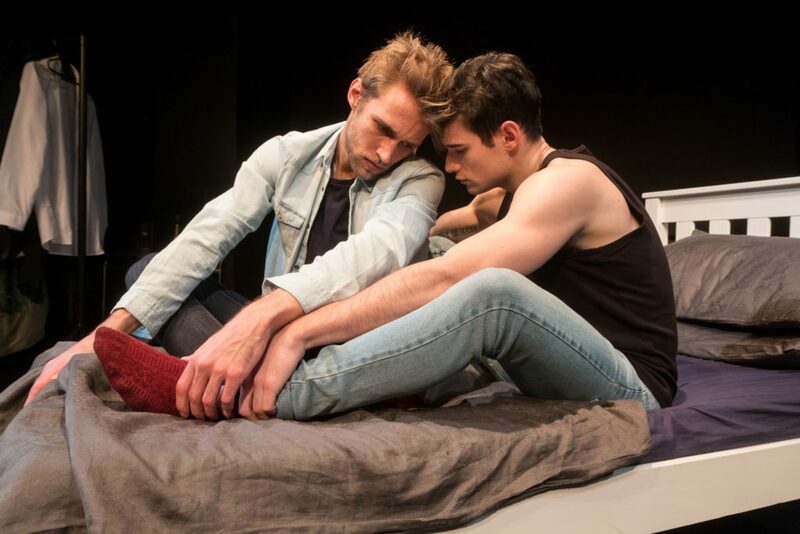 Holding The Man is beautifully written and adapted and carefully performed. This production tugs at the heartstrings and leaves you wanting to know so much more about the people you get to know and love through the show.